What happens when a Brooklyn native has the chance to play in front his hometown? The answer is an exciting performance that the fans won’t be forgetting anytime soon. On November 19, junior guard Shamorie Ponds was a man on a mission as he went on to score 32 points and dish out 5 assists. The game was competitive from the opening tip with both teams struggling to really pull away from the other. Though Cal were the aggressors early St. John’s depth and ability to defend kept Cal’s lead from ever getting out of hand. Finding themselves down mid-way through the first half, St. John’s seem to take their name literally as the “stormed’ back into game. Forcing turnovers and capitalizing off of them St. John’s was now clicking on all cylinders, putting together an 8-0 run with 6 of the points coming from Ponds. Now in a groove and in control of the game with a 4-point lead over Cal as the half was coming to a close, Ponds froze the defender with a beautiful move and nailed a three to put his team up by 7 to end the half. During the first period St. John’s had glaring advantages over Cal; outscoring them in the paint 22-6 and more overall bench production. But with both teams shooting over 50 percent from the floor the game was still up for grabs. As the second period began both teams went right back into trading buckets back and forth. After finding themselves done once again Ponds who scored 16 points in the first half while shooting 70 percent from the floor took over once again. Whether it was with crafty lay-up shooting threes, or getting to the line the difference between the two teams was clear. One had the explosive Shamorie Ponds while the other team did not. Cal kept the game close late but could not find and answer for Ponds, who would either scored or find himself at the line where he shot 7-7 with 6 of them coming in the clutch. 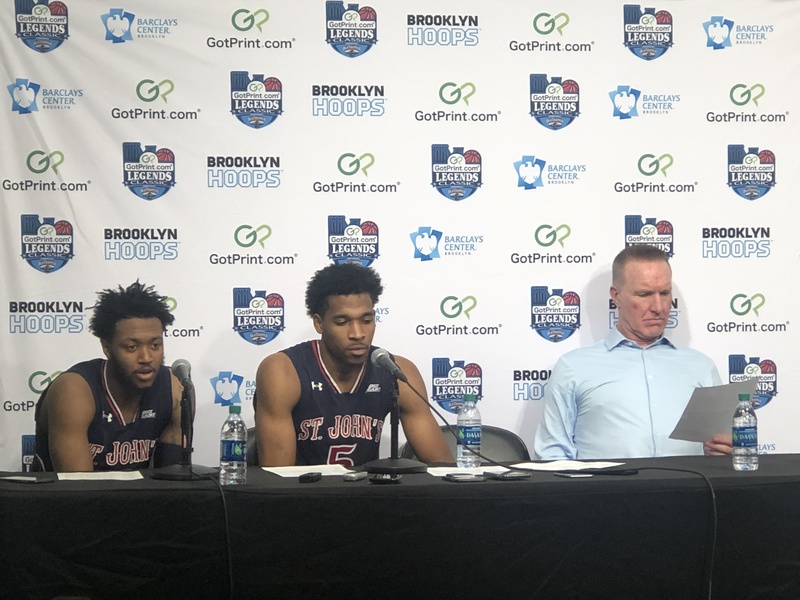 The St. John’s Red Storm finds themselves in great situation early in the season. With this win over Cal the Red Storm is now 4-0 on the season, and also has a shot at competing to be crowned the champions of the Legends Classic tournament. Tune in November 20th, as two undefeated teams, St. John’s Red Storm and the VCU Rams square off to potentially extend/end their streak and also win the legends classic.